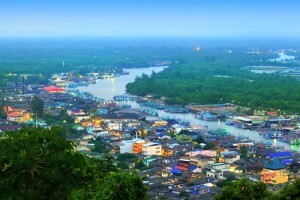 Chumphon is the first town coming from the north to be considered in south of Thailand since culturally and ethnically the south begins here. The town is a stop for most tourists for a night because boats to famous Koh Tao leave from here. 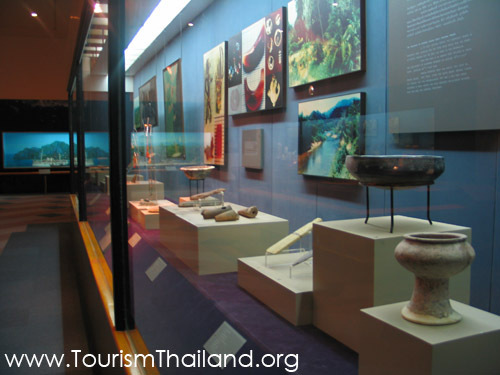 Visit the National Museum of Chumphon, opened in 1995, it shows an overview of the province, ranging from prehistory through to the present. Climb up to Khao Chao Mueang, the highest point offering panoramic views of the coast far out to the archipelago. 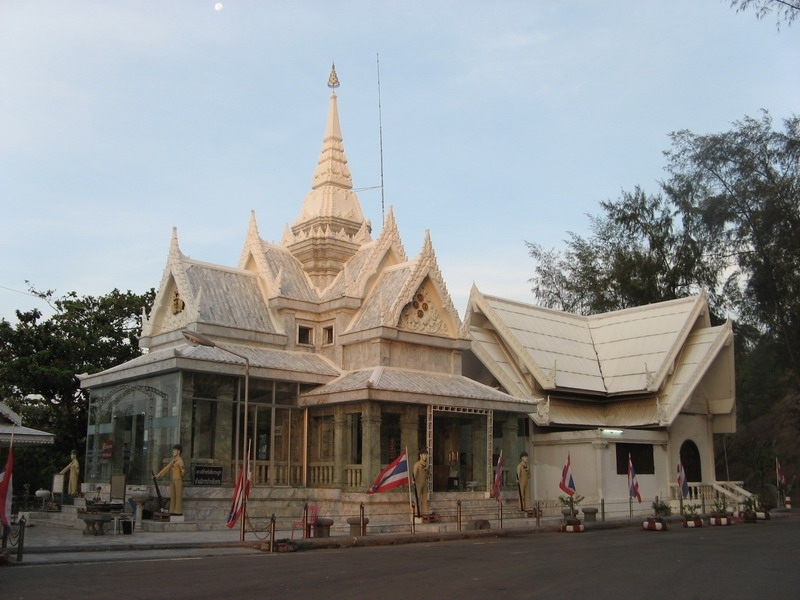 Visit Wat Pradoem temple, an archeological site in old Chumphon. Some archeological objects were found such as a sand-stone Buddha image from Srivijaya Period and a Chedi said to contain Lord Buddha?s bones. The temple is a good example of the architectural style of this area. The province itself has several natural beautiful sites, both inland. Basically, most natural places still keep their original charmed. Accommodation is available from guest houses to hotels. he locals and sailors. The old shrine there is a decommissioned torpedo boat and in addition there is a new shrine so that visitors can show their respect. 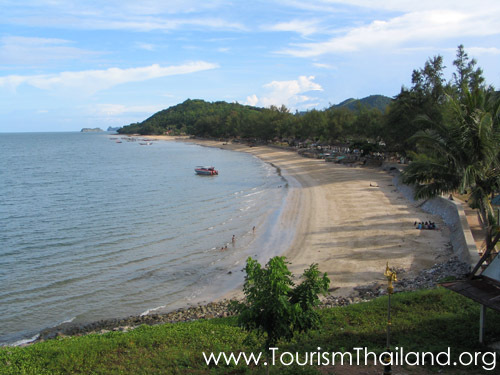 At the southern end of the beach there is a hill called Khao Chao Muang of which one has a magnificent view of the islands Maprao, Lak Rad, Rad, Mattra and Lawa. From Chumphon city, take road No. 4001, then continue on road No. 4119 to Paradornparb beach and continue on road No. 4098 to Sairee beach. There is also a regular bus service between Chumphon town and the beach. The National Museum Chumphon is located in the compound of the official government center of Chumphon at Sam Kaeo Hill, Na Cha Ang Sub-district, Muang District, Chumphon. It was established in 1994. The museum is a two storey building, in native style accompanied by a contemporary style which consists of the exhibition hall, museum library, multi ? purposed convention hall, office, museum storage, book ? shop & gift shop, cafeteria, etc. Drive along highway No. 4 (Petchkasem road). Chumphon National Museum located at the 484 km before approaching Pathomphon Junction. 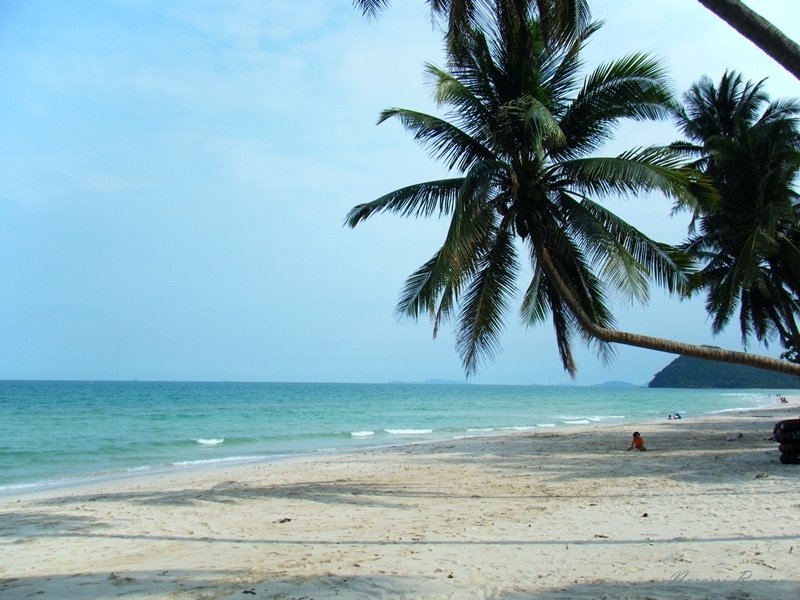 This quiet beach is located about 60 kilometers south of Chumphon town. 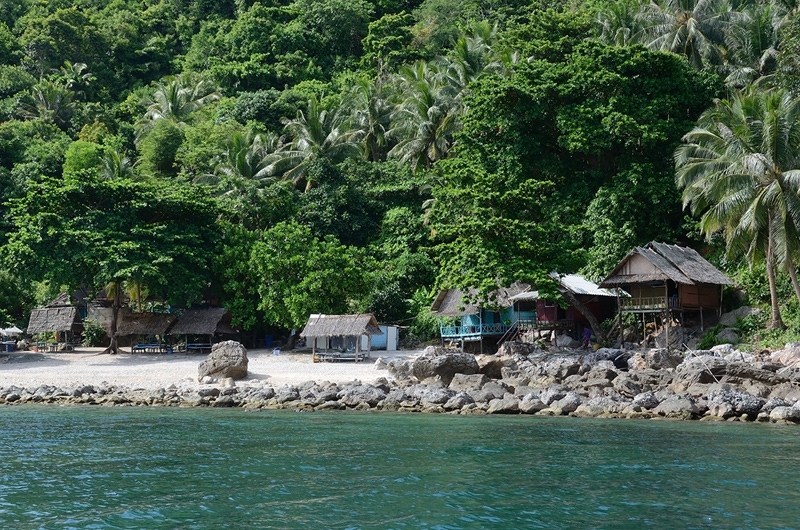 Visitors can observe the lifestyle of the local fishermen here. At the southern end you will find the Kromluang Chumphon Shrine and the Pak NamTako river where the fishermen of Thung Tako begin their journey to the sea – which is very colorful and impressive. The beach is lined by pine trees which provide shade and invite for a picnic or a walk on the beach. 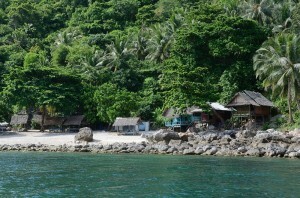 Even a few small resort can be found along the beach road. From the highway No.41 (Chumphon ? Lang Suan district route), drive toward Thung Takoe District, turn left to Tako estuary and drive on for 15 kilometers. Situated on highway 41, 54 km from the town of Thung Tako District. The orchard produces good quality fruits such as tangerine, papaya, dragon fruit, and Mayong Chit (marrian plum). The orchard is a perfect highway stop, ideal for taking a break from a long drive. A restaurant, coffee shop and souvenir shop are located in a beautiful lush green area. Remarkably, the orchard offers a unique toilet. The toilet at Nai Dum’s Fruit Orchard won the award from the Nation’s annual toilet competition in 2006. In addition, it had been proclaimed by the Ministry of Public Health to be a Thai public toilet learning centre, which is regularly visited by students and organizations. Mr. Dum, the orchard owner, had the intention to develop this public toilet to be a pleasant place for visitors. Therefore, his idyllic and hygienic toilet is surrounded by nature; with flowers, trees and miniature waterfalls. From Chumphon town centre, Drive along highway No. 41 (Chumphon ? Lang Suan district route), The orchard located 54 km from the town of Thung Tako district. Opening Hours 09:00 am. ? 06:00 pm. This mountain is next to Sairi Beach along the coast for 2.5 kilometres. On top of this mountain, there is a pavilion for view watching. And further from this area around one kilometre, there is an open area where a panoramic view of the various islands in the sea can be viewed. From Chumphon town center drive along Highway No. 4001 road, 20 km toward Paradonparb Beach and drive to Pha Daeng Beach to get to Sairee Beach. Khao Chao Mueang located behind Sairee beach, 2.5 kilometer. The memorial is located at the northern end of Sairee beach, about 20 kilometers from the city center, and is a sacred place for the inhabitants of Chumphon. Here is the monument of Admiral Phra Boromawong Thir Kromluang Chumphon Khet Udomsak who is considered the father of the Thai navy. The shrine faces the sea and there is a museum showing his biography and personal items. A large torpedo-ship named “Royal Chumphon” is also here. It is 68 meters long and 6.55 meters wide and was decommissioned on 26 November 1975. The Royal Thai Navy gave the ship to Chumphon province in 1979. After that it was put near this monument. From highway No. 4 (Petchkasem road), turn right at intersection into the street No. 327, drive toward the street No. 4011, approximately 20 km. 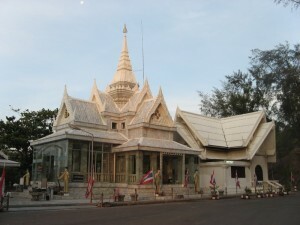 Prince Chumphon Shrine and Memorial located the foot of the hill near Sairee beach. The slightly more than 2 km long island is located about 7 kilometers off the coast of Chumphon. Most tourists visit the island during a day trip which also includes the neighboring islands. Some tents, a few wooden bungalows and a restaurant are available if you are planning a longer stay. The dive sites around the island are rich in hard and soft corals which are inhabited by pipefish, clams, parrot fish, angler fish, anemone fish, seahorses, oysters and many other species. 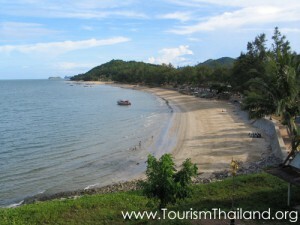 On Sairee beach and Phadaeng beach you can rent a longtail boat that takes you to the island. Alternatively, you can join one of the day tours which visit several islands for snorkeling or diving. Opening Hours 08:00 am. ? 06:00 pm.